June 2016 - Bernardo Cortese M.D. This is the article just published in JACC as a Research Letter. It refers to the Survey that we conducted in 2015 and that was reserved to the most influencing experts on the Absorb BVS technology. 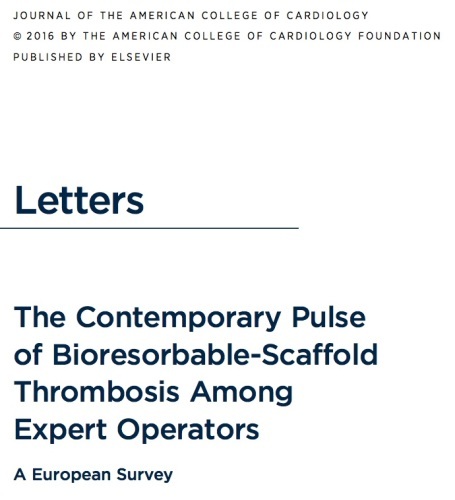 As you are probably aware, the FDA gave green light to Absorb to be sold in the US, so knowing what Experts do really think about BVS, specifically for the scaffold thrombosis issue, if of some importance.